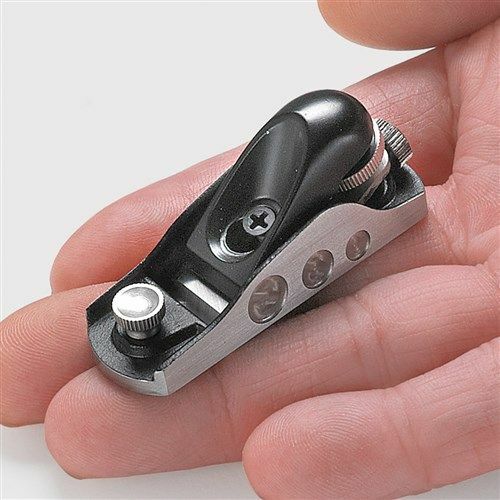 A long tme ago, like maybe in the 1980’s or 90’s, I remember seeing a miniature bench plane and work bench for executives. 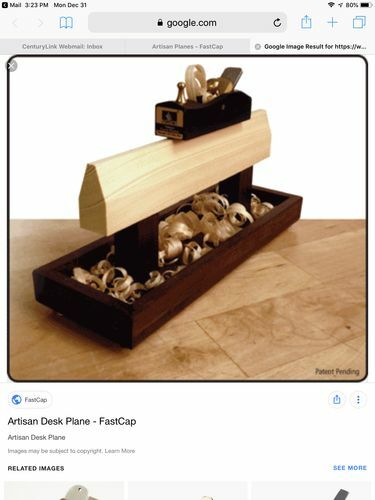 The idea was that you could plane a miniature piece of wood on your desk to relieve stress, much like a mini zen garden. I think it was offered by a catalog like The Sharper Image or Brookstone, but I can find nothing about it on the internet. I’m just curious about it and would like to see the add for it. Knowing what I know about planes, I can’t imagine this ending well for an inexperienced person trying to relax using such a thing. Or maybe I just imagined such a thing existing. I’m not familiar with this, Dave, but I’m interested! 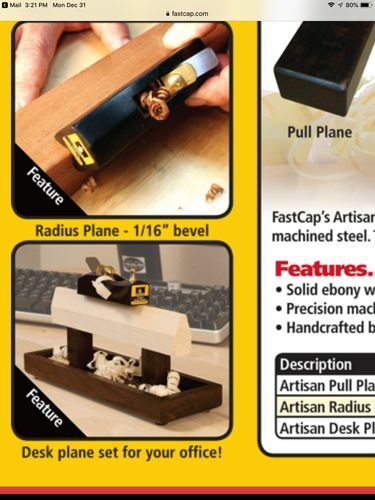 I believe Lee Valley sells some miniature wood working tools? Indeed they do, but this was more than just a tool. 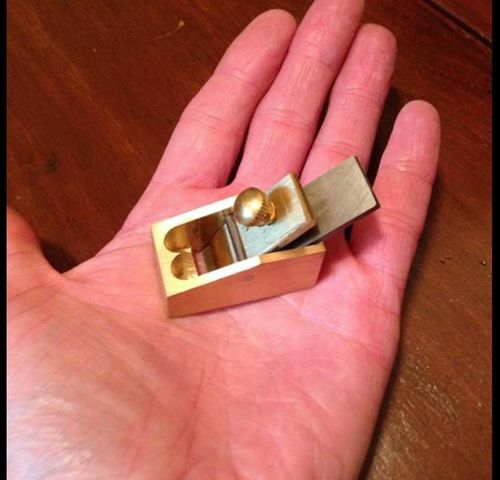 It came with a tiny ‘bench’ to hold a tiny piece of wood which you planed with the tiny plane. It was advertised as something an executive could do idly while sitting at his desk. I wish I could find the ad. It’s maddening to half remember something and be unable to find proof of it in the vast internet. I wish you remembered where you got yours, because it’s not the one I remember. That said, I finally found it! See my next reply in this post. After several hours of searching and adding the search term ‘desk’ to my efforts, I finally found the item I was looking to locate. So I’m not just imagining that this existed. Below I am including pictures of the item, the page it is on, plus a video demonstrating the whole thing. Whew! that’s over! 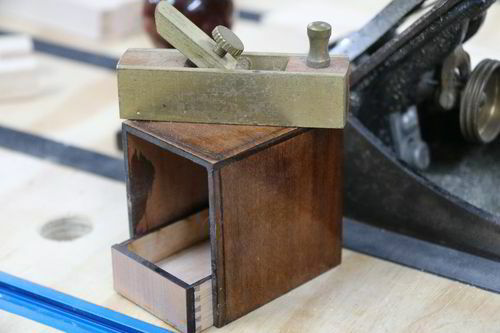 Occurs to me that this would be a nifty little woodworking project. 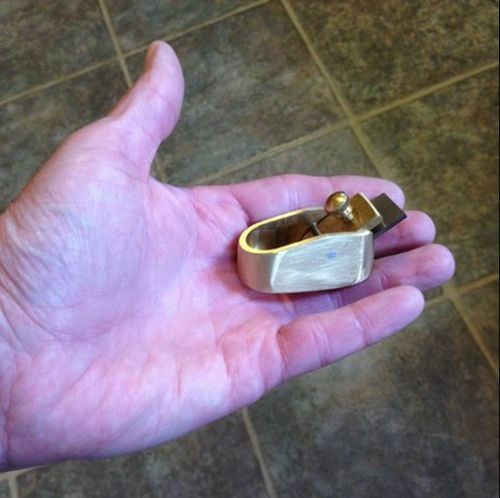 A little toy to ue my violin planes with until I learn to make fiddles. As you are a now a “gun” instrument reparier I am really surprised you do not have one already! Why would you assume I don’t have any? I have two at the moment, and just ordered a set of five more (for Christmas.) ;-) Once they arrive, I promise that I will build a box to keep them all safe. 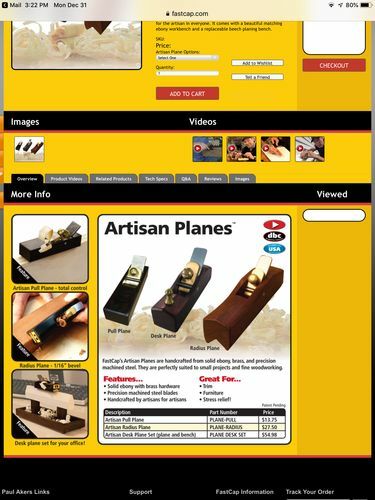 The trick is to learn how to sharpen tiny curved plane blades. Not to mention these 3! That is great, Dave! The ‘bench’ is now added to my To Do List! Mine too. 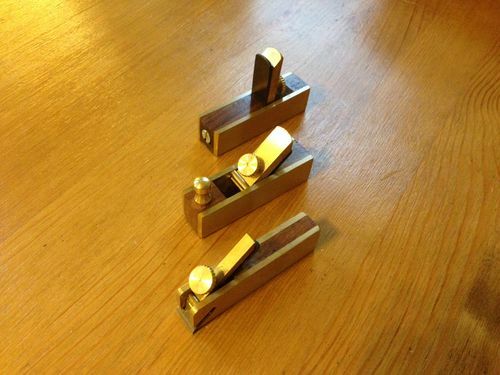 It would be a great ‘tool’ to test the adjustment of thumb planes too. OK got it! misunderstood what you were after I thought is was the “little” plane, hence the commet I was surprised you didnt have one already. Now as for sharpening I wonder do they just have replacement blades? ... similar to a trimming/box cutter knife.